Activity tables are found in every school classroom across the nation. Whether you're replacing an old table or outfitting a new classroom, Worthington Direct has the right classroom table for your students. We offer a wide variety of school tables, from colorful preschool and toddler height kids activity tables, to elementary school activity tables, to middle school student tables all the way to high school and college sized classroom tables. Our collection of activity tables offers your students not only a stable place to study, but we have fun varieties and shapes of our tables to make any classroom complete. School tables can be used for anything from group projects to Arts and Crafts Tables to computer lab tables with our optional wire management panels. Classroom tables generally have adjustable height legs so that students and adults of all ages can make a work space using an activity table. 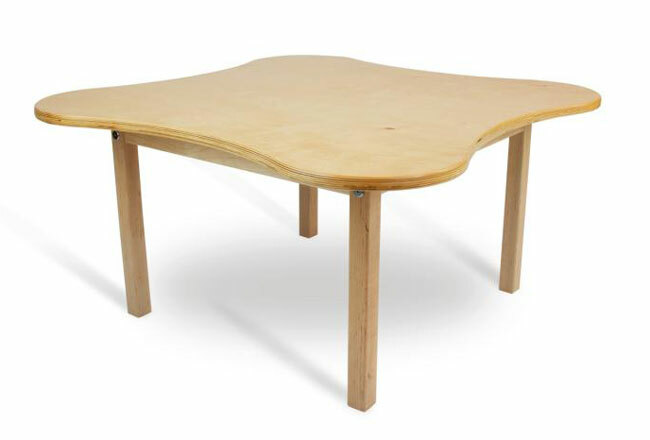 We also offer a variety of exceptionally sturdy classroom art tables and library tables designed to hold the weight of heavy art room projects or hundreds of library books without sagging. Worthington Direct offers great deals on activity tables from high quality manufacturers like Virco, Smith System, Correll and Scholar Craft.